Leisure Time Control is a dual-action formula that prevents unsightly water line film as well as stain and scale from forming around the perimeter of the spa. 1. Add this product before adding BOOST or FREE. 1. With circulation pump ON and blowers turned OFF, add 1.5 oz. of CONTROL per 150 gallons of water directly to the spa. 2. Circulate the water on high speed for 15 minutes. 3. Add this product before adding BOOST or FREE. 1. With circulation pump ON and blowers OFF, add 3/4 oz. of CONTROL per 150 gallons of water directly to the spa. 2. Circulate water on high speed for 15 minutes. 3. Test spa water once a week with Leisure Time Spa & Hot Tub Test Strips. Maintain proper FREE, pH, total alkalinity and calcium hardness levels. 4. Control is compatible with the Leisure Time Simple Spa Care specialty line of products.. 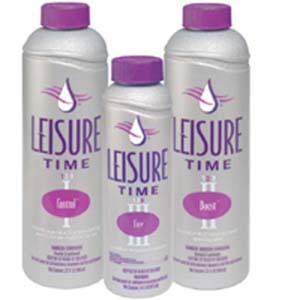 Leisure Time Boost is specifically designed to be used with Leisure Time Free, new Leisure Time Boost is a non-chlorine, liquid shock formulated to break down oils, lotions and other organic materials in spa water. Advantage: Boost improves filtration while keeping water clean and clear. Compatible With: all Leisure Time sanitizing systems including the Free biguanide system. 1. Add 3 ounces of BOOST per 150 gallons of spa water. Be sure to wipe with a clean, damp cloth any excess product that drips down the side of the bottle. 2. Circulate water for a minimum of 15 minutes. 3. Tips: Always allow product to circulate in water for 15 minutes with jets on prior to adding another product. Leisure Time Free is a biguanide-based sanitizer reflects the same high standards that you’€™ve come to expect from Leisure Time Spa. This chlorine-free, bromine-free, odor-free sanitizer is long-lasting and effective. The Free System keeps water clean and clear and it eliminates unsightly waterline film. Advantage: Free is gentle on eyes, hair, and skin, and virtually odor-free. Since it doesn’t affect pH levels, it requires less maintenance than traditional sanitizers. Compatible With: Free products are compatible with the Leisure Time Simple Spa Care specialty line of products. 1. Remove chlorine or bromine source and disconnect feeder. Discontinue use of ionizers and electrochlorinators if present. 2. Drain existing water in spa. 3. Clean spa with water. 4. Fill spa with water. 5. Bring a sample of water to your Leisure Time dealer to check it for proper water balance. 6. After your water has been balanced, add 1 oz. of this product for each 150 gallons of water to give a concentration of 50 ppm. 7. Circulate for 30 minutes then check the sanitizer level. Adjust if necessary. 1. Every week, check sanitizer concentration and pH. Adjust if necessary. 2. The level of sanitizer should be maintained between 30 and 50 ppm. 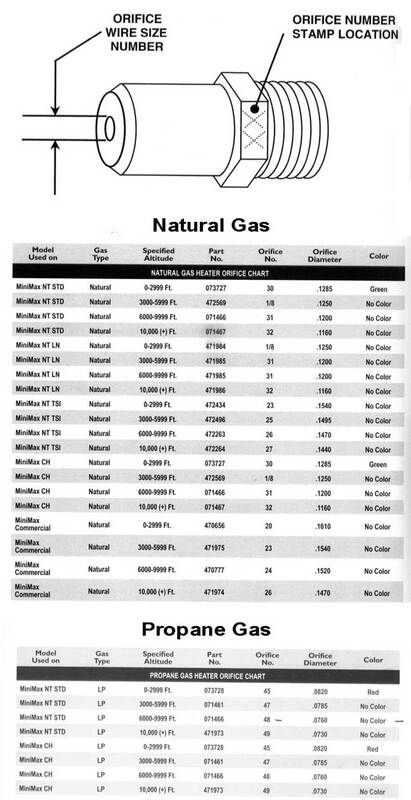 When the level is 30 ppm or less, add enough of this product to bring the level up to 50 ppm. 3. The sanitizer level should never be allowed to drop below 30 ppm. 4. To raise sanitizer level 10 ppm, add 0.2 oz. 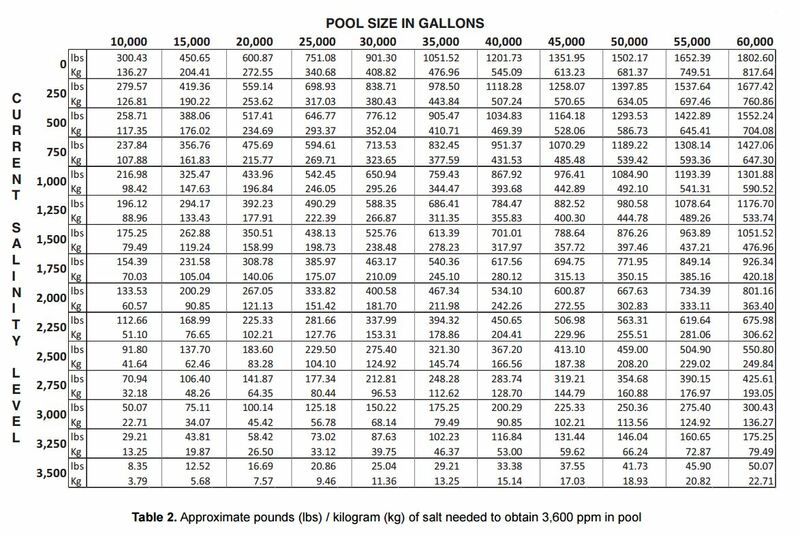 per 150 gallons of water. 5. Tips: Always allow product to circulate in water for 15 minutes with jets on prior to adding another product.